Gold Treble Clef Bracelet - Treble Clef Jewelry - A gold tone brass G-Clef charm has been transformed into a dainty & delicate G-Clef bracelet with a gold tone brass band... The perfect unique music gift for musician, gift for music lover, or gift for music teacher. 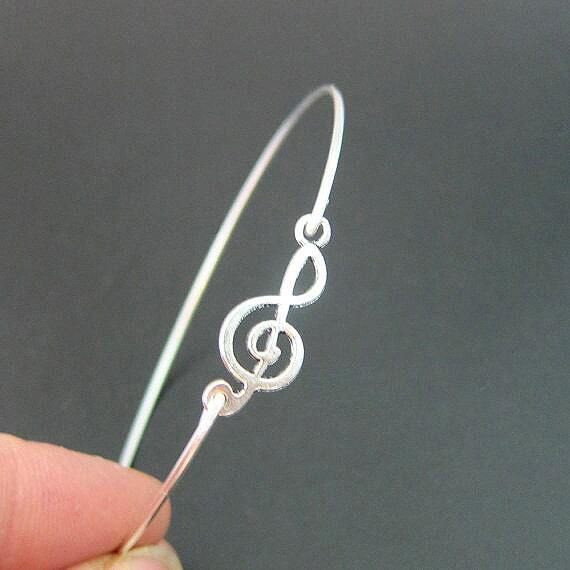 This G-Clef Jewelry is perfect for concert going, and most any party. 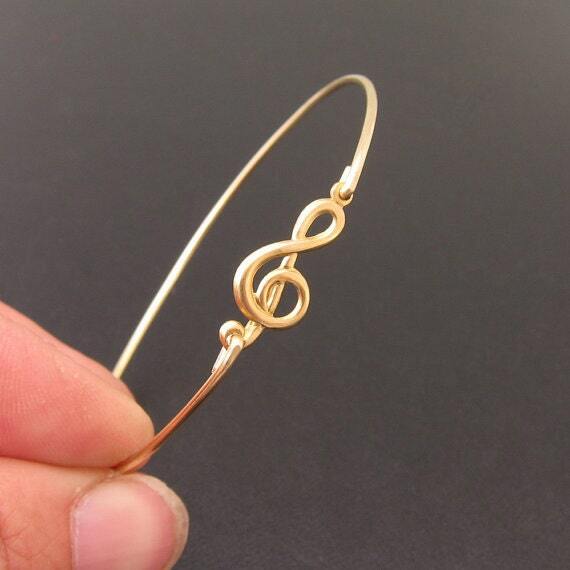 And if you're a musician, just imagine this treble clef bracelet on your wrist as you play your favorite instrument. I also offer a silver treble clef bracelet which also makes a great music lover gift idea, or music teacher gift idea, or musician gift idea. 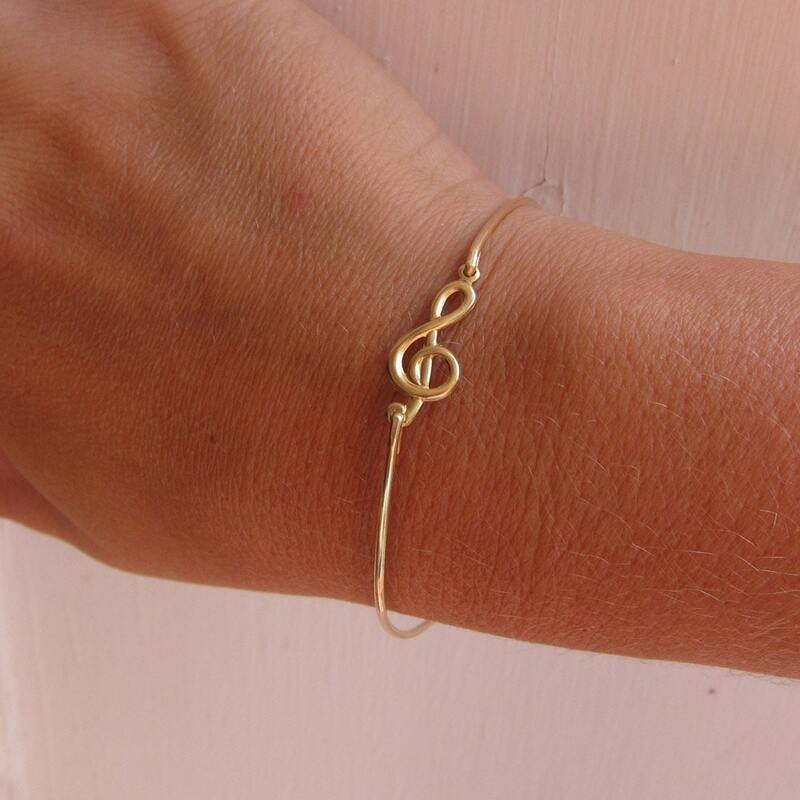 Please include size for your gold G-Clef bracelet in notes to seller during checkout... Choose from one of my regular sizes below for your new music jewelry either by measuring one of your favorite bangles, or measuring the circumference of the widest part of your hand (where the bangle has to be pulled over when you move your thumb towards your pinky); All of my bangles are closed and can’t be opened. Therefore, this music bracelet has to fit over the hand. Custom sized: specify a custom size for your musical jewelry. If you're having a music themed wedding and you need more of these G-Clef jewelry pieces than shown available, please convo me for a custom listing and I'll be happy to provide you with all the treble clef jewelry pieces you need. This unique music gift idea for women & music themed bracelet designed and hand crafted with great care and love for you and yours. 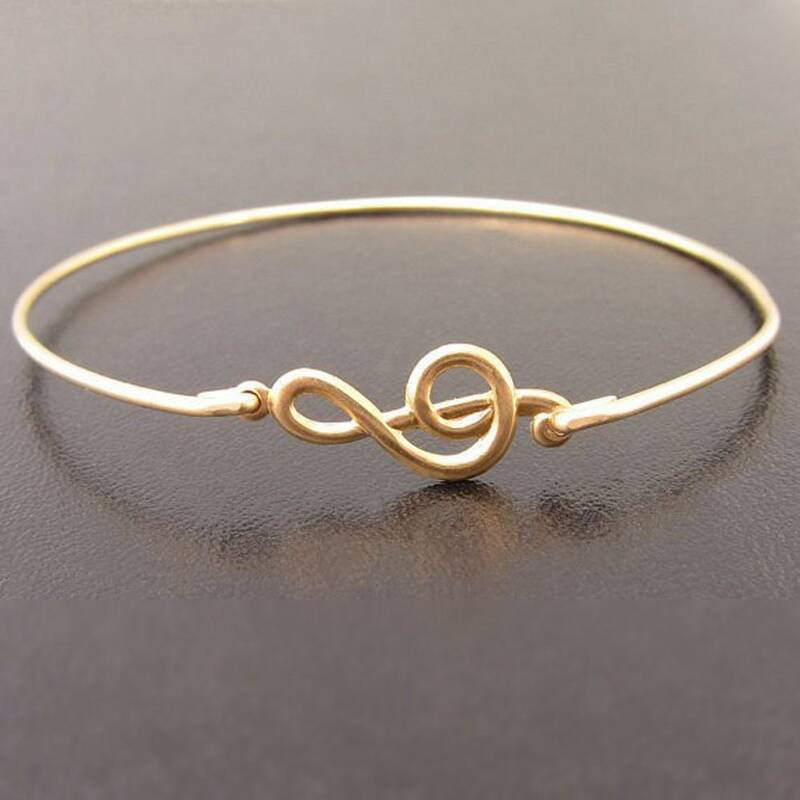 All of my pieces including this gold music bangle bracelet are special handmade creations that are original Frosted Willow bangle designs and under copyright protection. I hope this gift for musician girlfriend / music lover gift is a real hit.